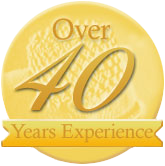 Over the past 40 years, Nationwide Carpet Cleaning has grown to become an industry leader in carpet steam cleaning, upholstery cleaning, mattress and rug cleaning and water damage restoration. Nationwide Carpet Cleaning is the preferred carpet cleaning service of a variety of real estate agents as well as many households throughout Sydney’s North Shore, Hills District and most recently the Central Coast NSW. Nationwide offer a quality of service second to none. The attitude to their work, care taken on the job and knowledge of various floor coverings is of the highest calibre and our company is proud to be associated with them.We would have no hesitation in recommending their services to anyone requiring a quality carpet cleaning operation. I just wanted to express my sincere thanks for your professionalism recently after I contacted you to clean the carpets in my home. You arrived exactly at the appointed time and restored my carpets to as new condition, and they smell beautiful. Our company have been using Nationwide Carpet Cleaning exclusively for the past 13 years. Not Once have we had to ask for a job to be redone. We've witnessed countless times completed jobs that we thought were impossible without replacing the carpets. I'd have no hesitation recommending Nationwide to any person or firm. How long before I can walk on my carpets after cleaning? How often should I get my carpets cleaned professionally? Your carpets should be professionally cleaned every 12 – 18 months. However in circumstances such as high traffic areas (hallways, family rooms and entry foyers) we recommend more often to reduce the chance of irreversible graying / soiling of the carpet. 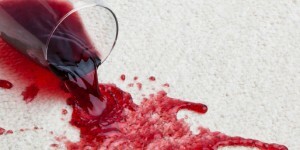 Will carpet cleaning remove all stains & spots? Experienced Professional Carpet Cleaning will remove a large majority of stains and spots but not all due to the fact that some stains are the equivalent to dye and it is impossible to reverse the dye process from carpet.